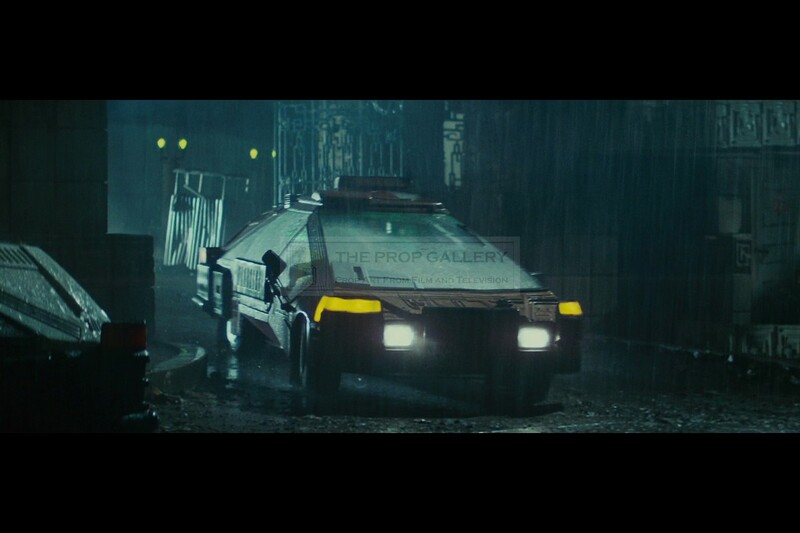 An original prop used in the production of Blade Runner, the 1982 science fiction classic starring Harrison Ford under the direction of Ridley Scott. 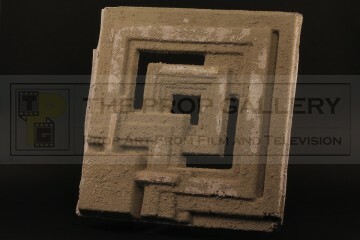 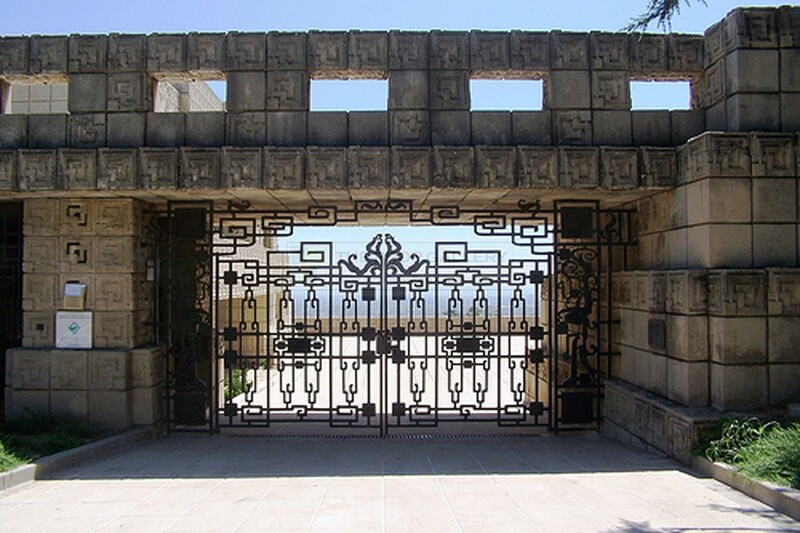 This tile was utilised during the production for the exterior scenes where Rick Deckard (Harrison Ford) arrives at his apartment, the interior scenes were filmed in studio while the exterior approach shots were filmed on location at the famous Frank Lloyd Wright designed Ennis House in Los Angeles. 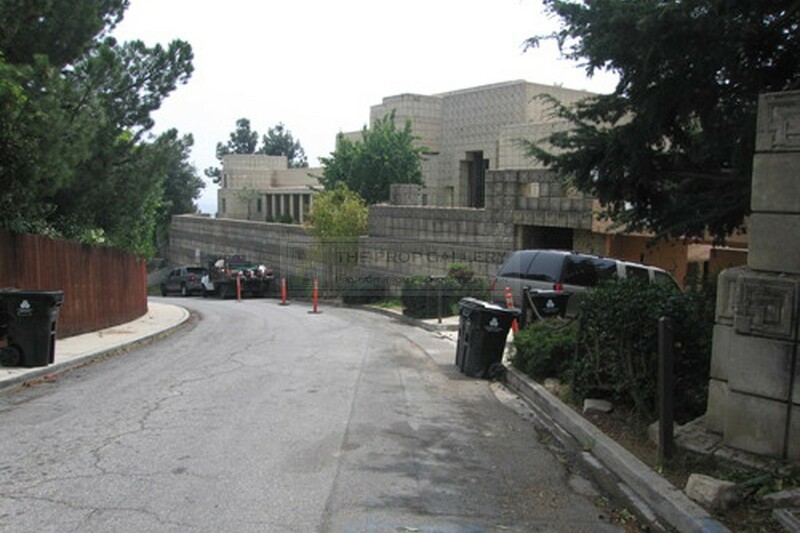 As we see Deckard approach his apartment in the movie the main wall of the Ennis House is to the left with the skyline completed by a matte painting but as we see him pull in to the car park he is in reality approaching from the other direction necessitating the building of a false exterior wall in the background. 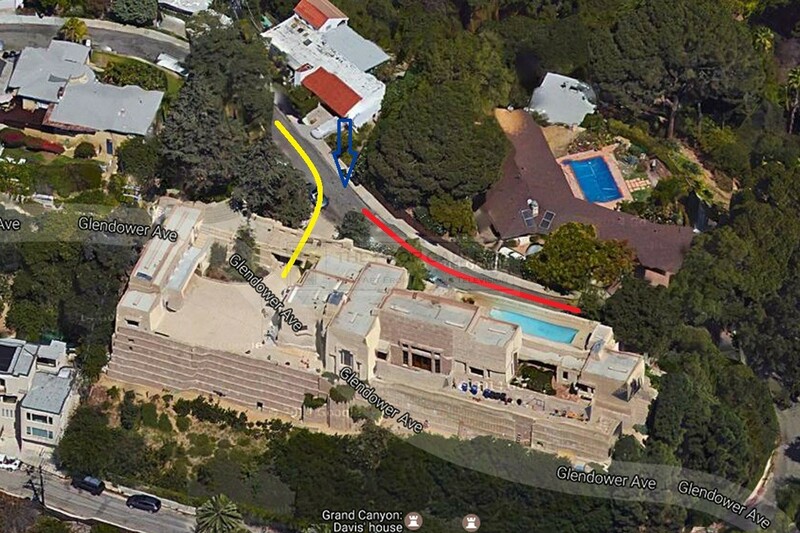 The final image presented here shows a map of the location with the red line being the direction of travel on the approach shot and the yellow line the way from which he actually approaches before pulling in to the car park, the blue arrow is the approximate location of a wall which can be clearly be seen behind Deckard's car but in reality does not exist and was constructed by the production with prop lights in front the same as those used on the roadside in the previous approach shot which features the matte. 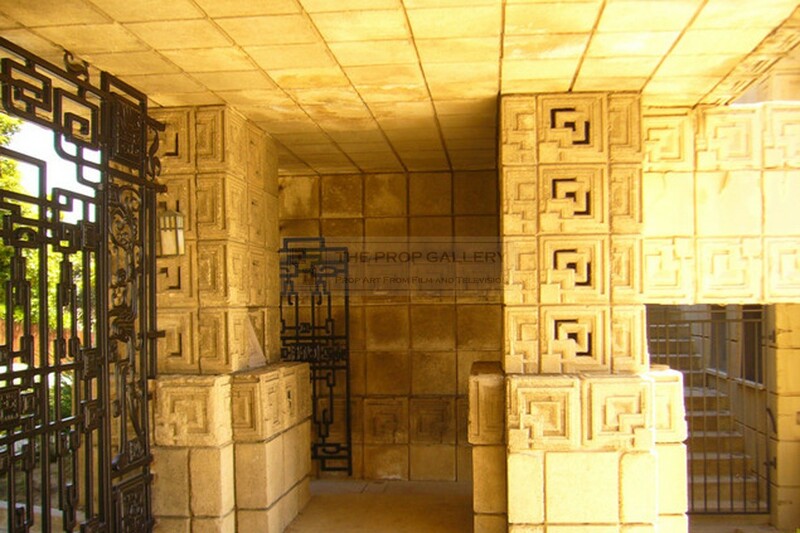 The tile is constructed from vacuum formed plastic from a pattern taken off a genuine Ennis House tile and features cut outs consistent with those used on the exterior of the house. 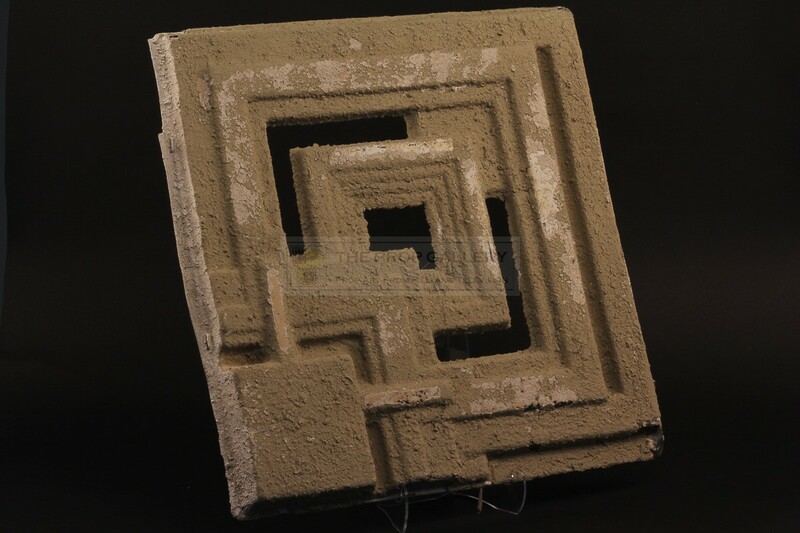 The tile is finished with a heavily textured paint to create the look of masonry and features a number of staples around the edges used to attach it to the false wall. 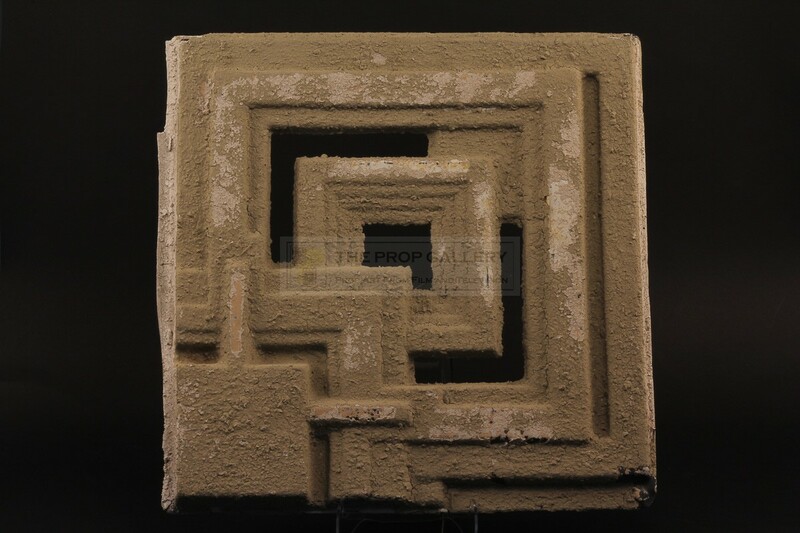 The tile measures approximately 16" x 16" and remains in excellent production used condition with some paint and surface wear, otherwise fine. 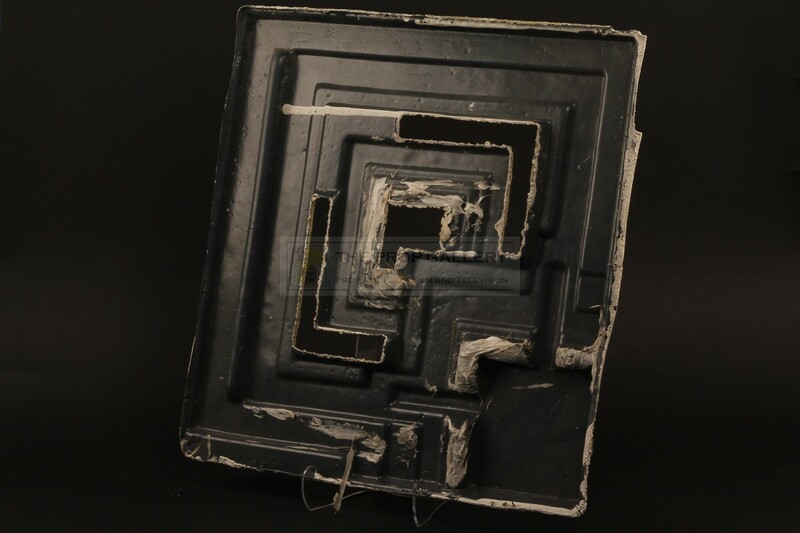 This represents an incredibly rare and highly displayable artefact from one of the all time classics of the science fiction genre.